My plan for today was to help you all become a little more familiar with the branding presentations of some of the top designers in the business. They don’t just deliver boring designs to their clients, oh no. They create stunning, awesome presentations around their designs. These branding presentations make the difference between a $100.00 brand for your business and a priceless brand for your business. In this post, I’ve collected twenty incredibly detailed, professional presentations from talented branding experts to convince you that a great brand needs a great presentation and that you can’t get some of this quality work for a few bucks, to much time is involved. Looking at these amazing, creative, well prepared presentations, you should come to the conclusion that these types of branding and identity packages aren’t cheap. 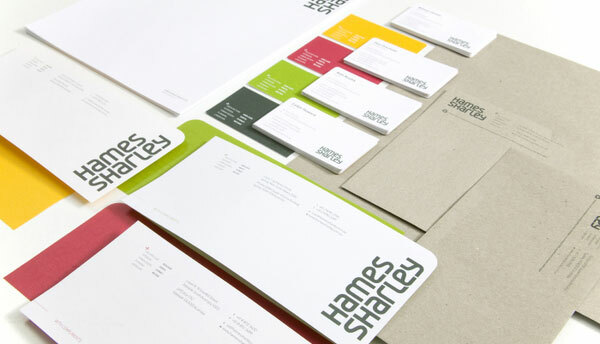 They’re time consuming, but the amount of time invested to create a brand is worth every penny to the client. A well-crafted brand lasts forever. If new to web designing then join testking online web designing course and learn how to create amazing, creative, well crafted presentations using our Testking MB2-631 tutorials and Testking 642-631 guides. This entry was posted on Saturday, April 3rd, 2010 at 08:08 and is filed under Articles. You can follow any responses to this entry through the RSS 2.0 feed. You can leave a response, or trackback from your own site. Very Thanks Hein 🙂 great collection. Nice work, but the title here is a little misleading. These aren’t branding presentations, they’re branding snapshots or branding insights – a small difference I know, but I was hoping to see the in-depth brand styleguide documents/presentations. I’m sorry when I’ve misled you, it was not my intention because in my opinion these are branding presentations. I believe the thing your looking for is this http://bit.ly/aoB1fa . Again my apologies for the confusion. Very nice collection. Some really inspiring work!! I certainly will be in contact with some of the above artists (they really are artists!) for future work. Some of these final designs look great, but the majority of the work shown here is just disappearing rapidly up its own backside. You’ve got to have pretty needy clients to have to show them the logo with circles and gridlines all over the place to justify the logos existence. I’m not saying it doesn’t happen but honestly, who actually designs logos this way and keeps a record of it, and who designs a cool looking logo then reverse engineers it to justify their cost? That’s really nice of you to get all those together. A pleasure for designer’s eye and useful info for designer’s mind. Thanks! Great. nice article and collection. “A well-crafted brand lasts forever” Well said and as an online marketing consultant I always encourage clients to have a well design logo that represents their brand. Whew your right. Being both a developer myself and an outsourcer it’s ended up turning out like this: When I as broke. I longed for a worker with this professionalism that would give me a less than 10.00/hr cost. They do exists. But they are usually the young in the workforce who are satisfied being modest until they earn their high pay status. Now having money in the budget; I find it well worth it to aim high initially for this type of professionalism… and receiving it within a business interaction is well worth the money spent. It’s the difference between a motel stay and a luxary cruise. So further brandishing my point… a well designed package is sweet like honey, and well worth 20.00+ / hr pay if the budget allows it. Whew your right. Being both a developer myself and an outsourcer it�s ended up turning out like this: When I was broke, I longed for a worker with this level of professionalism that would give me a less than 10.00/hr cost. They may be hard to find but they do exists. They are usually the young in the workforce who are satisfied being modest until they earn their high pay status. Now having money in the budget; I find it well worth it to aim high initially for this type of professionalism� and receiving it within a business interaction is well worth the money spent. It�s the difference between a motel stay and a luxury cruise. So further brandishing my point� a well designed package is sweet like honey, and well worth 20.00+ / hr pay if the budget allows it.